One of the biggest disadvantage (among numerous advantages) of the internet is the theft of original content, or piracy in other words. Copyright violation is a big issue, and is not only a danger to the originality of the content online, it is also a threat to the individual content creators, who do all the work while someone else takes the credit, hence offsetting their prospects. Although such violation can not be stopped, it can be discouraged. And Google is taking steps to do just that. Many webmasters use Google AdSense to monetize their sites and generate revenue. 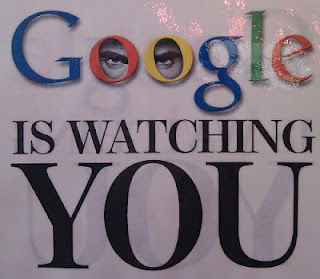 So to discourage copyright infringement, Google bans websites that it finds are violating its copyright policies. Here is what you need to know to stay on the good side of AdSense, or else you might find yourself banned in no time. Almost every new content that is uploaded to the internet is copyrighted, unless specified otherwise. For example, an organization might run an awareness campaign, creating content and specifying it free to be widely distributed. Someone might even give you permission to distribute your content, in which case you get a license with specified limitations. In such cases, you are free to copy and distribute the content. But in most other cases, copying content is stealing, and is punishable by law. Such content commonly includes mp3 songs, movies, videos, games, shareware/premium software, articles, blog posts etc (yes, this very post is protected by the MyBloggerTricks.com Copyright, and it is stealing if this post is found on any site other than MyBloggerTricks.com). If you create original content from scratch, then you automatically hold the copyright for that content. You can then grant other people permission to distribute your content, or make it public and free for all. Google has a very strict policy regarding content. If the webpage you have ads on has copyrighted material, it will ban you from AdSense. Furthermore, even if your page has only links to sites that have copyrighted material, you will still get banned. Such sites include illegal file sharing websites, illegal torrent sites, sites and blogs with plagiarized content etc. Linking to these sites will get you banned, so be careful! Before putting up ads, ask yourself this. Does your site host or link to copyrighted content? Generally, AdSense bans ROM sites, sites that host shareware software for free, crack websites, sites dedicated to audio and video downloads, Warez sites, and more. So make sure your site is none of the above, and has original content before putting up AdSense ads. 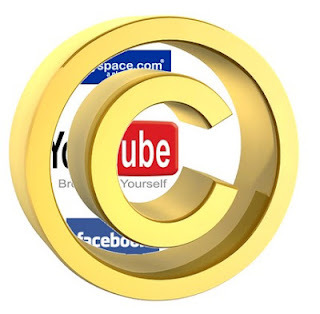 Why Google discourages copyrighted content? The most obvious reason is it is not fair to the original creator. But the major reason is, it discourages advertisers. Google itself has to earn a bit through the advertisers. And if the advertisers don't come, Google goes at a loss. Advertisers don't like un-natural content that drives up their cost and the publishers' revenue without much apparent effort (of creating original content). If you find that someone is violating your copyrights, you can file a request with Google by filling out a form. You can also read our in-depth articles on Copyright violations. How To Report Copyright Violation To AdSense? 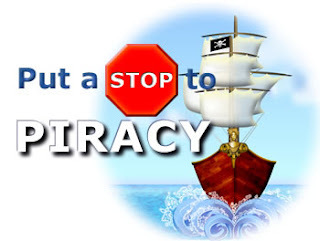 How To Write a Warning Letter To a Copyright Violator?